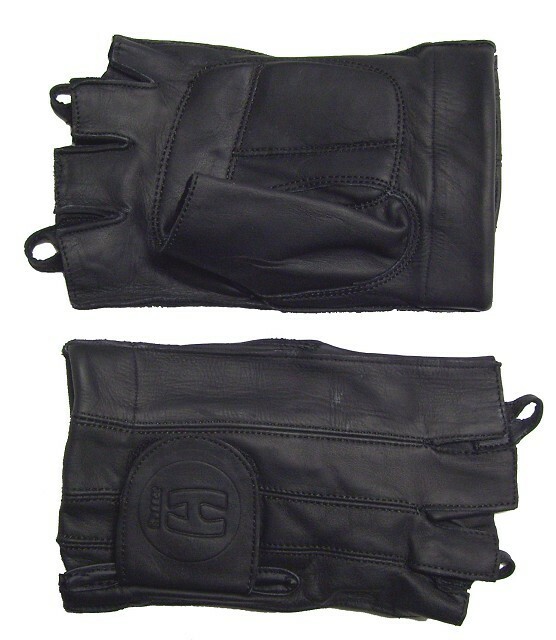 Analine leather is the highest quality leather available anywhere. 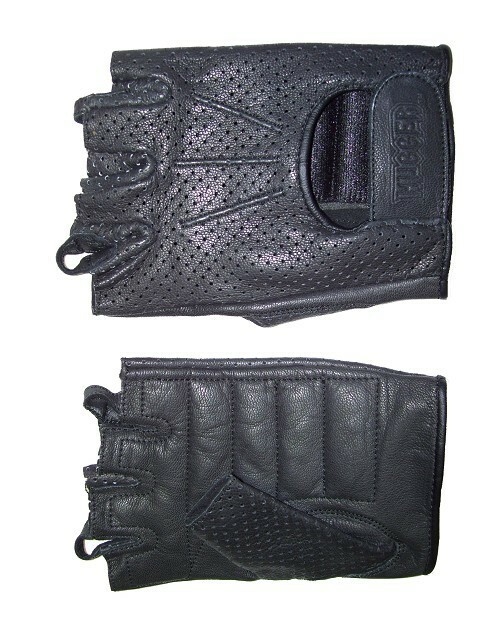 Since 1994, HUGGER gloves have used only Analine quality leather. That’s it. 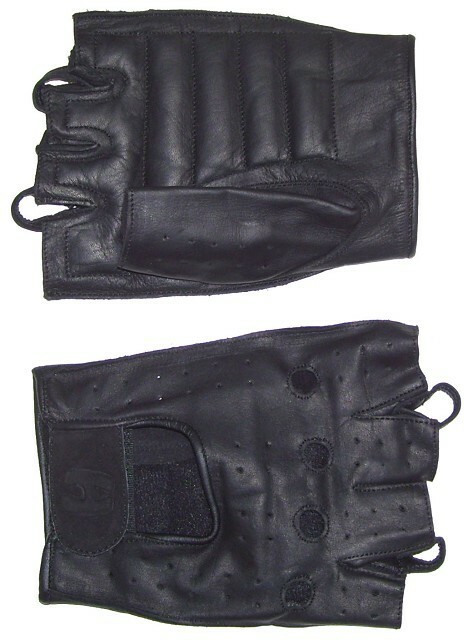 It wears longer and makes a softer, noticeably more comfortable glove than leather of a lesser quality. 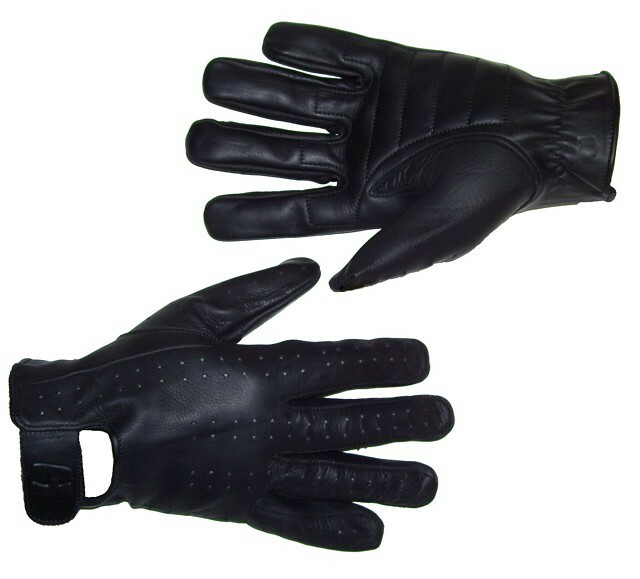 Furthermore, Technaline’s waterproofing is most effective when used with Analine leather. Comment: Just as good or better than more expensive brand, plus it's waterproof! Gel palm is a perfect fit. Great glove and a great deal.. Comment: Preferred by many because of its light weight, comfort and reflective qualities. 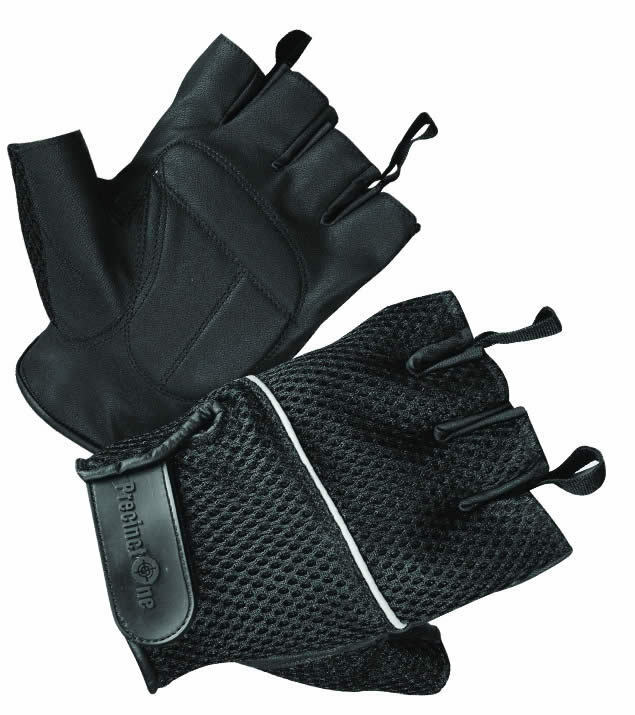 Comment: Best fingerless glove for carpal tunnel or hand stress problems. Ride pain free for hours. 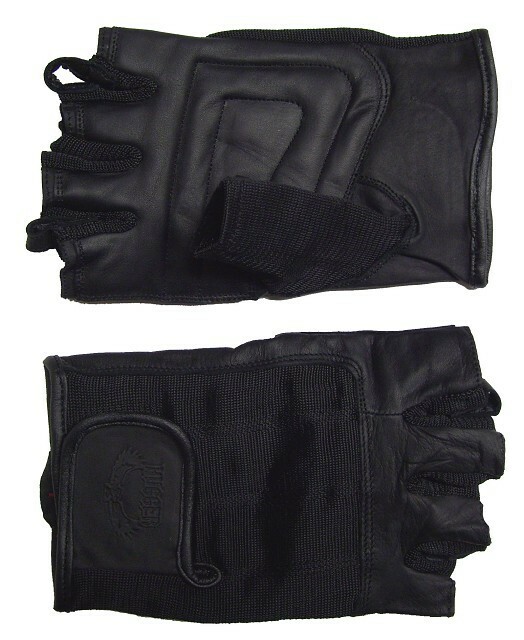 Spandex on the back of the glove hand and between the fingers allows for breathability and shields the sun. No sunburn. Palm design is the best.